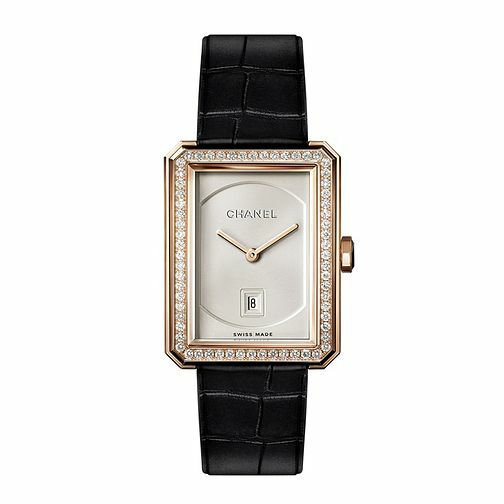 From the Boy-friend collection by Chanel, this luxurious timepiece is cased in 18ct rose gold, featuring a diamond set bezel and a black leather strap. The chic rectangular case has a simple yet sophisticated style and is finished off with classic logo branding. A truly show stopping watch, designed to beautifully unite fashion and function. Size Medium.